Seeing as that I put the two-deep analysis on the shelf (because there was no change from last week to this week), let’s get to the more important things about this weekend – the specific happenings happening around the football game, which includes tailgating, special promotions, and other fun stuff like “Drink of the Week” and “Burger of the Week”. Like last week, the weather report this Saturday is ideal for viewing and playing football. As of today the forecast calls for cloudy weather and a high of 72 during gametime, with a 20% chance of some possible showers. Like last week, there is some precipitation forecast for the night before, which should have Murray Goodman’s turf, again, in perfect shape for football. How Will I Watch Villanova At Lehigh This Afternoon? Not going to the home opener? First of all, what’s wrong with you? OK. So your bicycle is in the shop, it’s the Pee Wee Soccer quarterfinals, or some other very good reason has arisen where you can’t make it to Murray Goodman for the game. 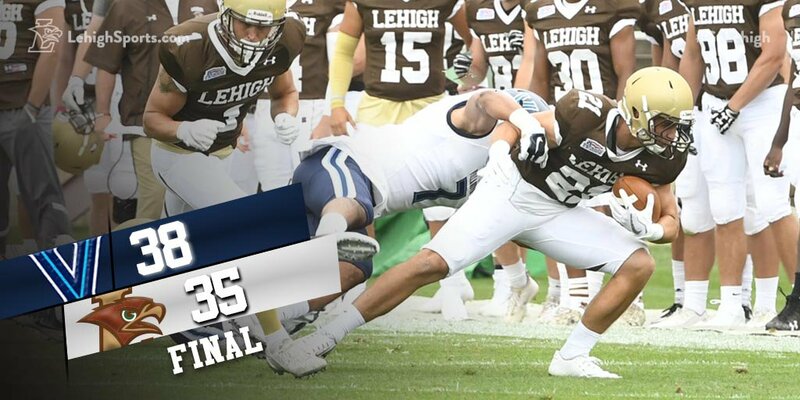 Villanova at Lehigh Game Breakdown and Fearless Prediction: Who Will Be Pennsylvania’s FCS Champion? One of my favorite stories of the early Lehigh football era was the idea that Lehigh, Lafayette and Penn in the late 1800s battled for the “Championship of Pennsylvania”. 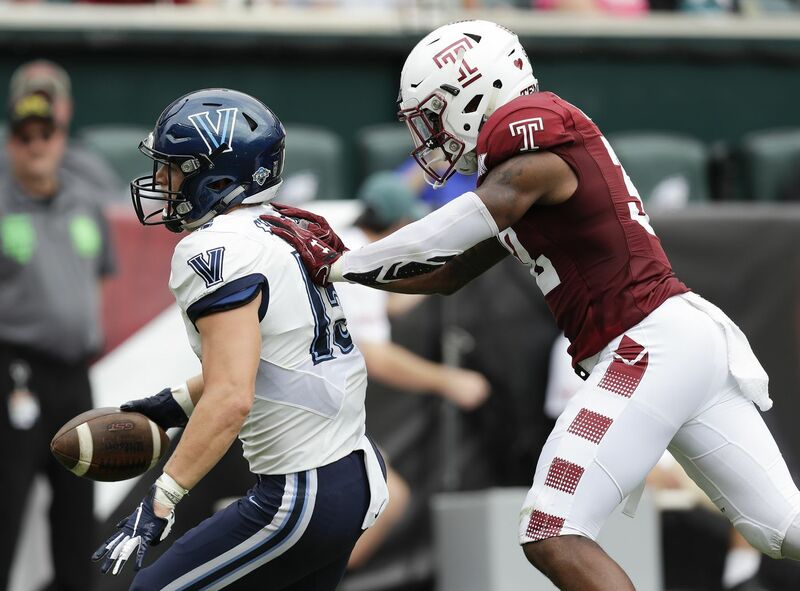 In 2017, it wouldn’t be prudent to call a game versus Lehigh and Villanova the “Championship of Pennsylvania”, thanks to the presence of Penn State, Pitt and Temple in the state. 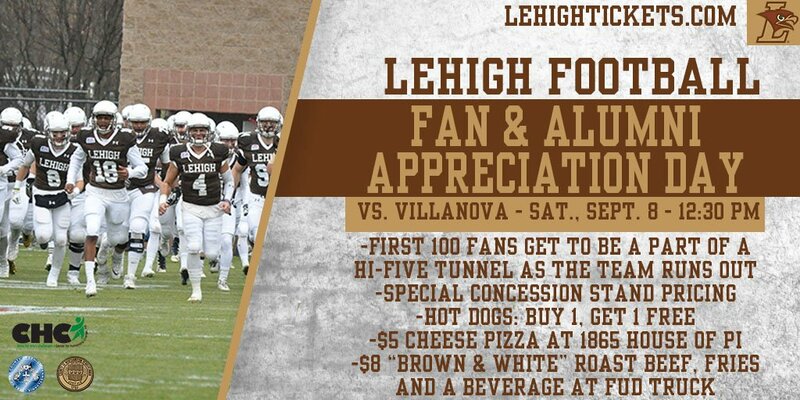 In FCS though, Lehigh vs. Villanova, the only two STATS and Coach’s Poll Top 25 teams that are based in Pennsylvania, it could certainly be spun in that way. Villanova, at No. 9/10, travels to Lehigh, No. 17/17, to determine who is the FCS Champion of Pennsylvania. It’s different when you’re returning champions. That much was clear when sifting through all the preseason print pieces and videos covering the Lehigh Mountain Hawks. Expectations return – you’re no longer the “hunter”, as head coach Andy Coen explained, you’re the “hunted”. Managing those expectations has been almost as important for this Lehigh football team as the regular conditioning and X and O’s drills of camp. The common thread with the many print and video pieces and the many interviews is a sense of maturity and a businesslike ethic around this team, especially amongst its leadership.